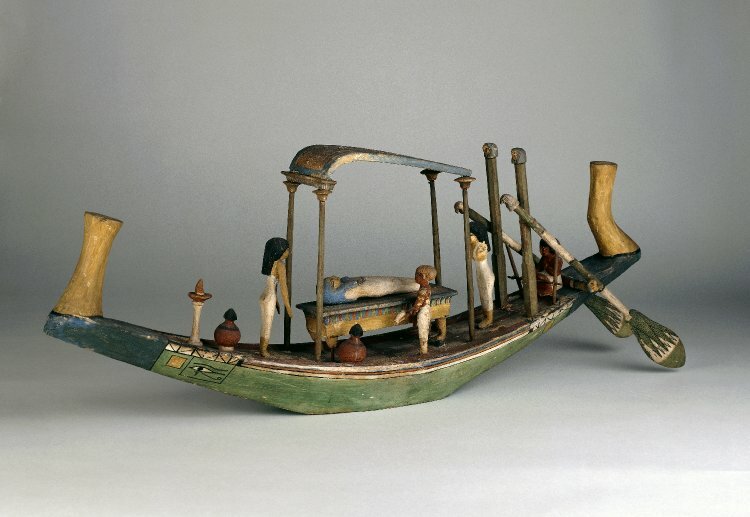 Wooden model of funeral barge: The hull is shallow, with narrow beam; graceful curve to sheer-line. Deck slightly hollowed out, leaving low gunwales which merge into bow and stern; the two latter have the ornamental finials usual in funeral barges. 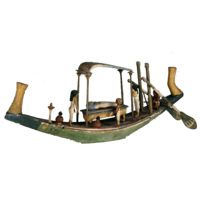 This model was acquired in 1835 with another boat model (9524) and a model granary (2463). All 3 come from of the same tomb, but it is not stated.